Calling all Brave knights and Pricesses! Treat your guest like royalty when you add the Knights Castle combo to your next party. This combo moonwalk unit has a bounce area, climber and slide. 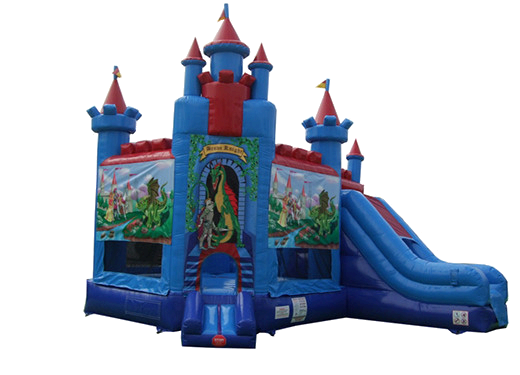 The Knights Castle combo is ideal for backyard birthday parties, block parties, picnics and more.